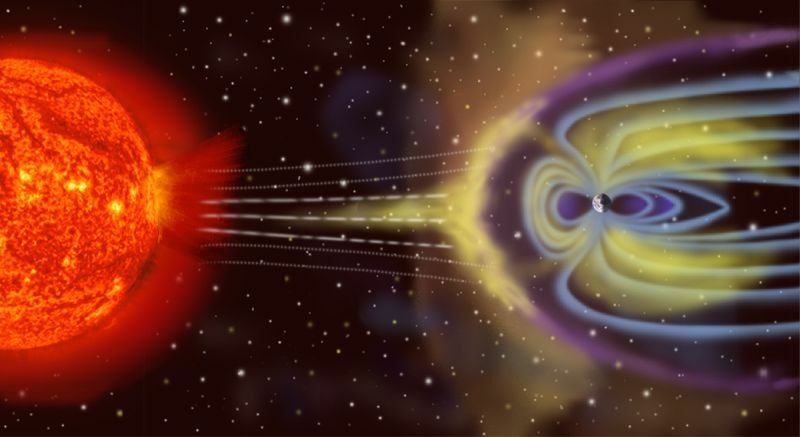 Earth’s magnetic field shields us from bombardment by solar particles. Credits: NASA. Earth’s magnetic field shields our planet from the Sun, or more precisely the solar wind. Without it, charged particles would slam into our atmosphere, sparking giant aurora borealis and causing massive disruption to electric power grids, communications and navigation systems. This magnetic field is more complex than first meets the eye. Its main source is Earth’s core, but there are also a number of secondary sources that scientists have yet to fathom out. ESA’s Swarm mission aims to unravel some of the mysteries surrounding the influence of the globe’s inner structures, the ionosphere (the layer of the atmosphere between 60 and 800 km above the planet’s surface) and the magnetosphere on Earth’s magnetic field. 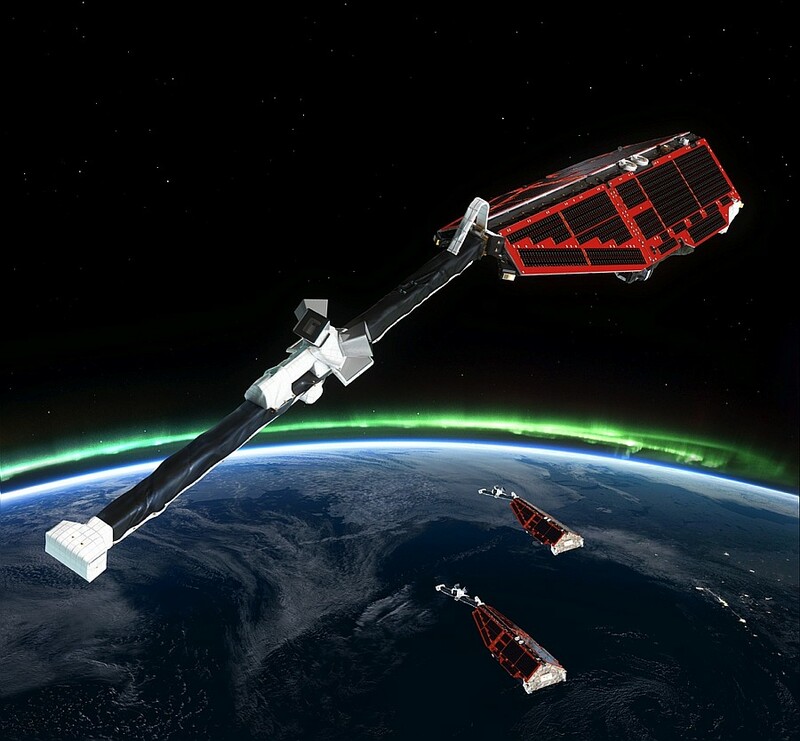 The 3 Swarm satellites will collect data on the planet’s magnetic field from low-Earth orbit (460-530 km). Credits: ESA/CARRIL Pierre, 2013. Swarm data will be fed into numerical models capable of predicting the evolution of Earth’s magnetic field, valuable information for future space systems regularly exposed to potentially damaging magnetic storms. To collect these data, each of the 3 satellites in the Swarm constellation is carrying an armada of instruments including a Vector Field Magnetometer (VFM), which will measure the direction of the magnetic field, and an Absolute Scalar Magnetometer (ASM) to record its intensity. CNES and the CEA-LETI1 electronics, technology and instrumentation laboratory in Grenoble developed the revolutionary ASM magnetometers that will afford unprecedented sensitivity and performance. As well as measuring magnetic field intensity, the ASM instruments are also expected to measure field direction on an experimental basis for this mission. Once scientists have validated these vector measurements, the ASM magnetometers will become the first space instruments capable of measuring both the intensity and direction of Earth’s magnetic field.